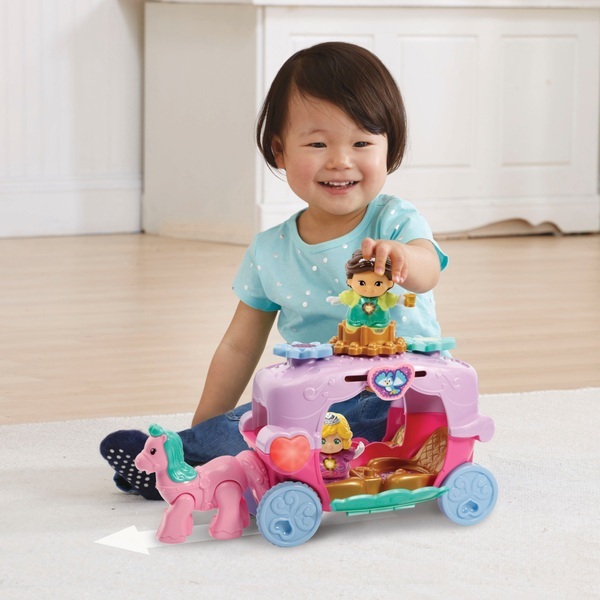 Meet Princess Lily with this adorable Vtech Toot Toot Kingdom Princess Carriage! Press Lily’s light up button for fun responses! Put Lily in her carriage and push her along to see the horses trot! The crown and flowers on top of the carriage spin! Lily interacts with MagicPoint locations, showing her friendly personality through fun phrases, songs and more!